Paris is famous for its exquisite selection of patisseries, bakeries, cake shops and chocolatiers, all over the world. All these places offer their own inventive take on traditional desserts. One of the most famous French desserts is the Mont Blanc, which takes its name from the highest mountain in Europe. This delectable pudding is characterized by a dome of chestnut cream vermicelli, covering a base of meringue and whipped cream. It is thought that this sweet treat was first enjoyed in France in 1620. However, now this exquisite dessert has been replicated and re-invented by some of the most famous patisseries in Paris ever since. You can enjoy this dessert at some of the best places in Paris, especially the famous Angelina tea house. Angelina tea house is unarguably the most famous place in Paris to offer the Mont Blanc dessert and it is the patisserie’s signature pastry. The venue has built up a prestigious reputation since it was founded in 1903 and is popular with visitors and locals alike for its exquisite creations. It is traditionally made with meringue covered with whipped cream and chestnut crème vermicelli. This makes it is a must-eat during your stay in Paris. Angelina also offers a larger Mont Blanc dessert which is ideal for sharing. 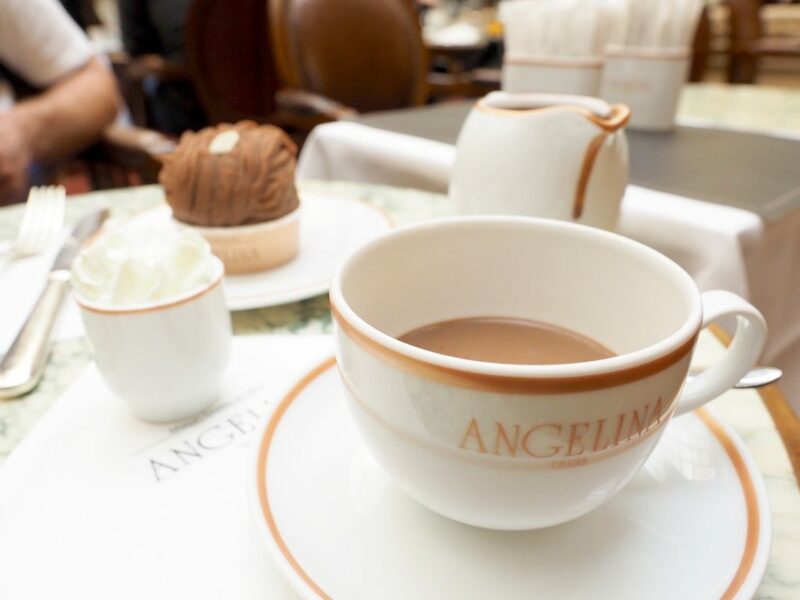 You can plan a visit to the famous Angelina Tea House, during your next trip to Paris and do not forget to treat your taste buds to the mouth-watering Mont Blanc.